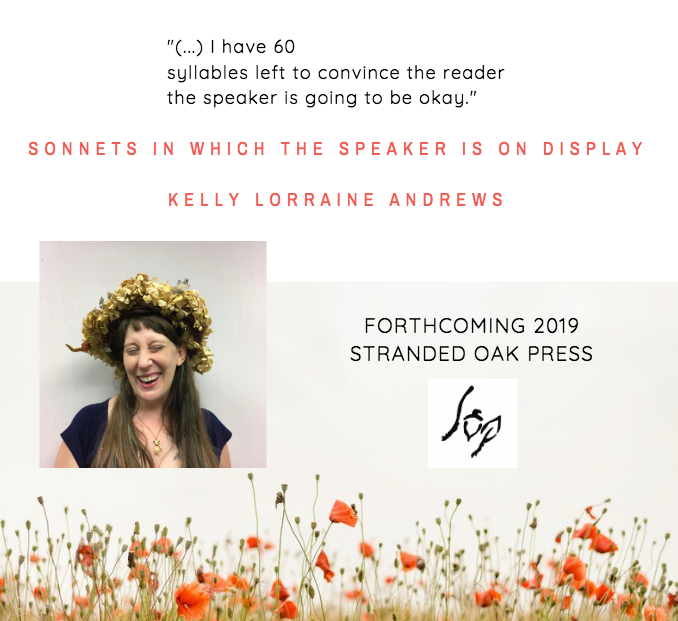 Sonnets in Which the Speaker Is On Display is forthcoming in 2019 with Stranded Oak Press! My Body Is a Poem I Can’t Stop Writing, a micro-chapbook, is available from Porkbelly Press. The ever talented Jessica Earhart created the cover art. The Fear Archives is now available from Two of Cups Press (2017). You can order a copy by clicking on the image below. The Fear Archives was recently a runner-up for the Gazing Grain Press 2016 Poetry/Hybrid Chapbook Contest. They’ll be excerpting some of the chapbook into a miniature//ephemera piece. My poem “Asterism” was chosen by Dorothea Lasky as runner up in the 2013 Sandy Crimmins National Prize for Poetry. You can read that poem in Philadelphia Stories, Spring 2013 Issue. Columbia University’s literary program, WKCR Studio A, interviewed me and asked me to read a bunch of poems on their show. You can listen to the whole thing here.